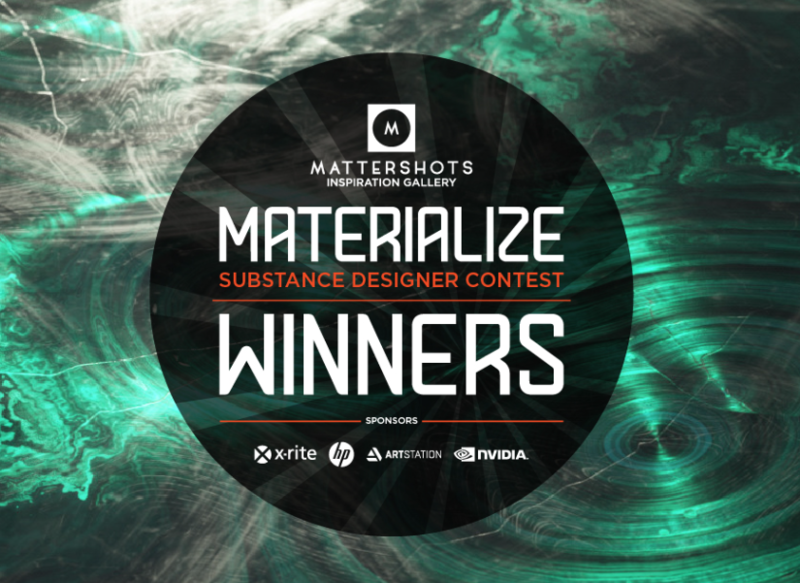 The winners of Materialize, the Substance Designer contest, are finally here! Congratulations to all who entered, the quality of the entries was astonishing! Congratulations to all the winners. You all deserve the recognition you received. It was pure pleasure and amazement looking at your entries. And an extra "Wow!" all the other contestants. There were about 20 other entries, at least, that I was shocked to not see listed as winners. The level of skill and artistry in this community is astounding. I was 99% silent as I lurked on this this thread, but I really enjoyed viewing all the entries. Thanks again, to Allegorithmic and the guest judges for all their hard work, too, in hosting another great contest and doing the difficult job of selecting the finalists. Lastly, one more time... Wow!! !